It is now a couple of weeks since I returned from Myanmar with Open Heart International. With all the celebrations about the 10th year anniversary of working in Myanmar while we were there, it has made me think what does ten years actually look like? Ten years is a long time in any country, and certainly technology plays a big part in advancements in medicine here in Australia. 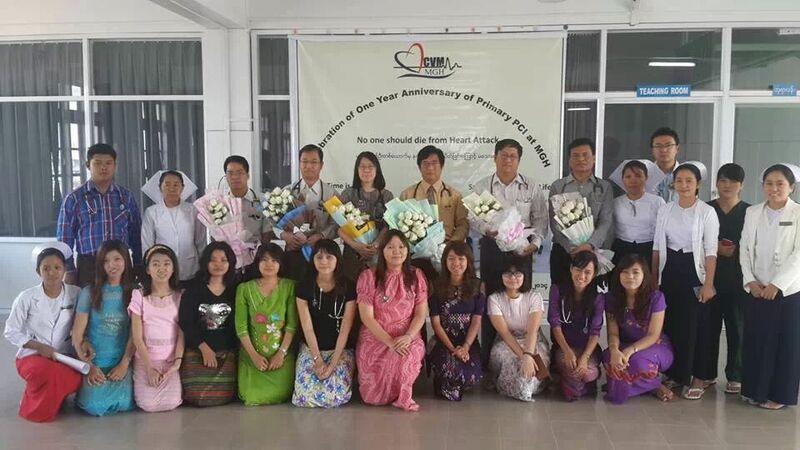 It still amazes me though that in just ten years Myanmar has moved from no cardiac services to now two hospitals (one basic and one complex) performing congenital children’s surgery, and four hospitals capable of congenital diagnosis and surgery selection / medical management. In addition six hospitals can now perform full adult echocardiograms (the process of producing a sonogram or ultrasound of the heart to diagnose heart conditions), a super important tool is diagnosing cardiac disease. It is also exciting to see succession plans, and those trained by Open Heart International now training more junior staff that continues the circle of teaching. And that is just in the area that I work! There’s also the ICU ,the Coronary Care Unit and the Surgery unit where nursing teams and surgical teams have been trained across all the major hospital. 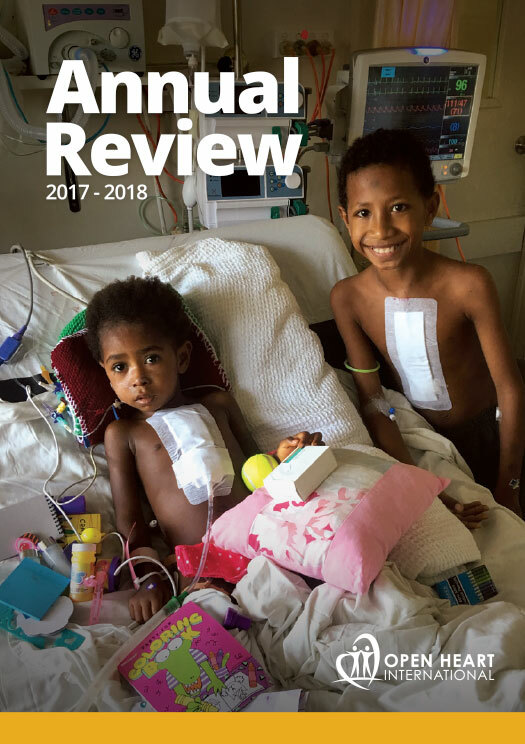 There are so many people that have contributed to these outcomes over ten years, the OHI team members and also many Australian medical companies donating stock as well. I must mention the Myanmar Project Coordinator, Chris Waite. It is his leadership that sets the wheels in motion for our team. By transferring our skills, and up-skilling local Burmese staff, we can now see the amazing things that are being achieved. The challenges in Myanmar are unique in some ways yet similar to other developing countries – language barriers with visitors, cultural differences and political instability. Our experience shows that if it can be done in Myanmar, it can be done elsewhere around the world, with time, resources and commitment! Any hospital can become self-reliant in cardiac diagnostics and surgery! The final word however should go to Dr. Than Than Kyaing, from Mandalay General Hospital. 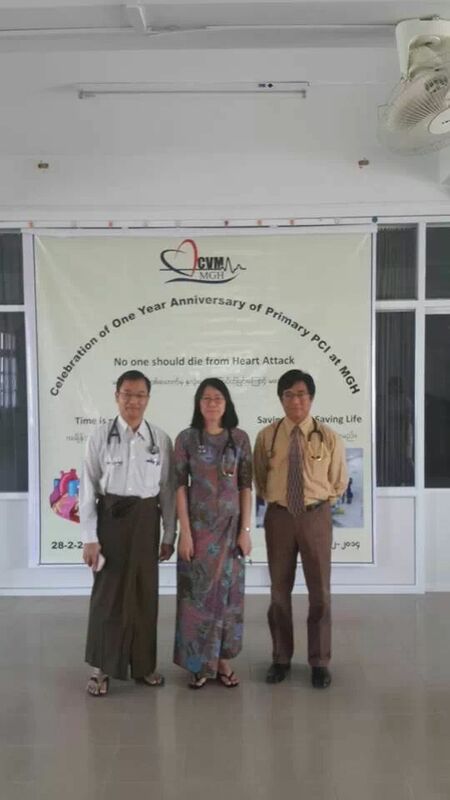 She says “Without your team support we not be able to start our primary PCI (percutaneous coronary intervention) program which was our dream. It is very difficult to use a few words to express our heartfelt thanks to the OHI team. Thanks again for helping us. We look forward to your next visit”. Those simple words from Than Than, is to me, exactly what 10 years looks like.